Way Too Cool 50K Endurance Run welcomes you to the 30th annual running on Saturday, March 2, 2019 at 8am. This race has become the most sought after 50K in the United States for veterans and novices alike. The breathtaking trails, spirited aid stations, amazing views and pure fun, make this an adventure you won’t want to miss. After your run, kick back and relax as you enjoy some awesome food. 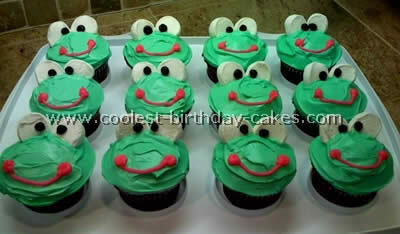 And satisfy your sweet tooth with our signature frog cupcake! I look forward to seeing you in Cool, CA on Saturday, March 2, 2019 at 8am.